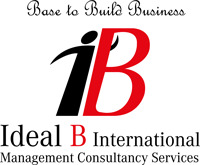 IB, a motivated and highly professional Management consultancy team with a drive for success for all our clients. we pride ourselves on a personalized and active approach to business. Our services are highly sought after by all kind of business entrepreneurs alike in their pursuit to grow and build their businesses in a competitive environment. Our staff is highly trained and carefully selected from among the best in their fields. Quality and completion of projects on time and within budget.